Open registrations for the biggest treasure hunt ever dedicated to Boccaccio. A treasure hunt in medieval fantasy style, for groups of three to five participants, who can register no later than September 27th. Medieval fantasy style clothing is recommended. The initiative is in collaboration with the associations Elitropia, Archers Certaldesi, Second Sons, Ideas in Motion, Fantasy Circle. 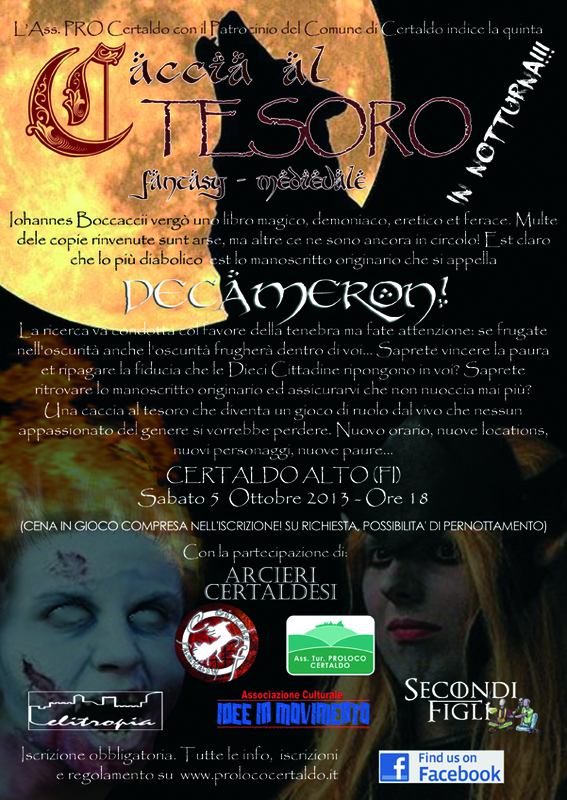 The game competition will take place on Saturday 5th October in Certaldo, which for the occasion, from 18 to 24, will be transformed into the mysterious village of “Colle Cerro” (the name Certaldo derives from Cerro and Alto), in which wizards, sorcerers, nymphs and characters inspired by the darker side of the Decameron will meet to challenge each other with clues of evidence until the discovery of the precious final manuscript. The day will start in the morning with themed markets of fantasy items, clothing, gadgets. From 6.00 pm until late at night the game, with the teams that will have to solve enigmas and mysteries, always with a copy of the Decameron – provided at the beginning of the race – which will prove to be decisive for going ahead in the game. And if the aperitif-potion will be offered to everyone at the beginning of the race, so that the dark powers will transport the participants in a fantasy world, the dinner, on the contrary, will have to be conquered with exact answers. “The news of this year are mainly three – explains Filippo Gianchecchi, creator of the event – first of all the night race that creates an even more disturbing atmosphere among the alleys of the country. While the second innovation concerns the locations. 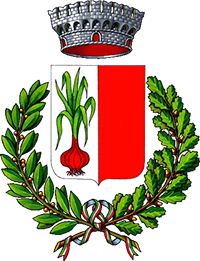 The Municipality of Certaldo, which sponsors the event, has made available places such as Palazzo Pretorio, the prisons, Casa Boccaccio. As for the game, as in previous years, there will be evil characters ready to do anything to hinder the research of the participants, but there will also be the women of the Decameron that with their grace will provide clues to small aid “. Another important novelty, as explained by Daniela Brenci, president of the ProCertaldo, the photo competition, from an idea by Lucia Di Vita: “It will be a photography contest open to all – explains Daniela Brenci – professional photographers, amateur or simple fantasy lovers. The works received will then be printed thanks to the contribution of Foto Studio Bartalini and exhibited at the Jam Caffè in piazza Masini “. The event comes almost at the end of an intense year of cultural activity that has seen Boccaccio absolute protagonist: “Many associations during this journey have given a lot, even with few resources – explains the councilor for culture and tourism Giacomo Cucini – demonstrating the just love our country and the passion for the activities that each carries on for years. Still some events will unfold until the end of the year and beyond, but this great treasure hunt perfectly concludes a cycle of events of great popular participation “.